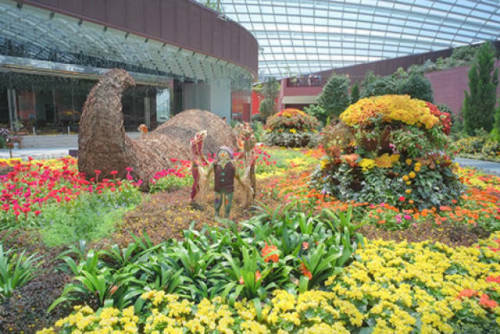 The conservatory complex at Gardens by the Bay comprises two cooled conservatories – the Flower Dome and the Cloud Forest. They are intended to be an energy efficient showcase of sustainable building technologies and to provide an all-weather edutainment space within the Gardens. 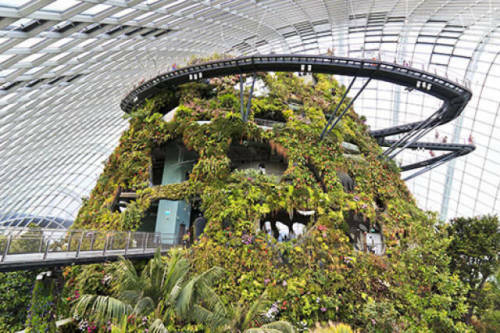 Both are very large and the Flower Dome is the world's largest columnless glasshouse. 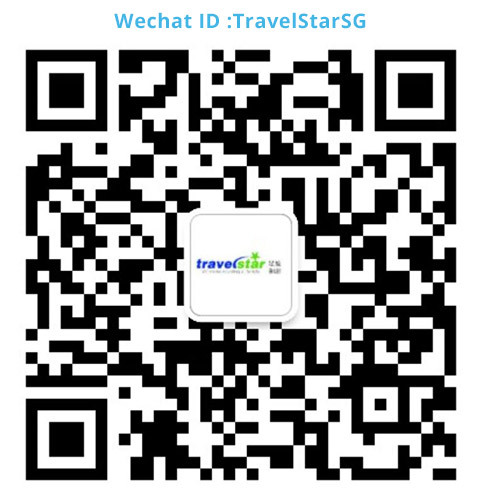 The Cloud Forest is higher but slightly smaller at 0.8 hectares (2.0 acres). It replicates the cool moist conditions found in tropical mountain regions between 1,000 metres (3,300 ft) and 3,000 metres (9,800 ft) above sea level, found in South-East Asia, Middle- and South America. It features a 42-metre (138 ft) "Cloud Mountain", accessible by an elevator, and visitors will be able to descend the mountain via a circular path where a 35-metre (115 ft) waterfall provides visitors with refreshing cool air. The "Cloud Mountain" itself is an intricate structure completely clad in epiphytes such as orchids, ferns, peacock ferns, spike and clubmosses, bromeliads and anthuriums. It consists of a number of levels, each with a different theme. The Flower Dome is the lower but larger of the two, at 1.2 hectares (3.0 acres). It replicates a mild, dry climate and features plants found in the Mediterranean and other semi-arid tropical regions (e.g. parts of Australia, South America, South Africa). 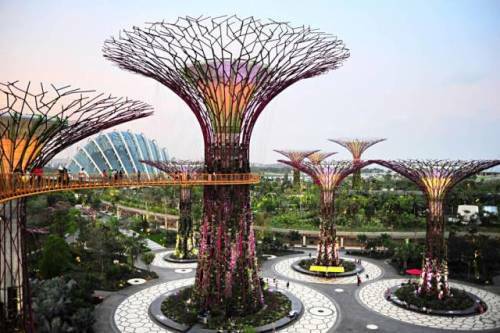 The Flower Dome is 38 metres (125 ft) high and maintains a temperature between 23 °C and 25 °C, slightly lower at night. The Flower Dome features seven different "gardens" as well as an olive grove with a bistro and a central changing display field has also been incorporated to enable flower shows and displays to be held within the conservatory.